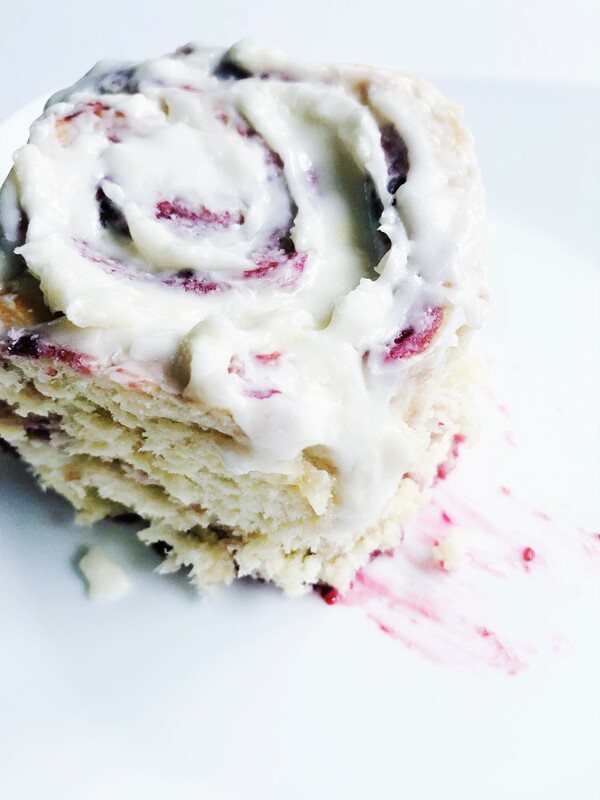 Soft, fluffy rolls with fresh raspberry and a rich cream cheese icing. Dissolve yeast in warm water for 2 minutes. Add all ingredients except 3-4 cups of flour in a stand mixer, and mix with dough hook until smooth. Gradually add the remaining flour and mix until just combined. Turn dough out onto floured surface and knead gently until dough is soft and incorporated. Place dough in a greased bowl, cover with a towel or plastic wrap, and let rise until doubled, about an hour. After dough has risen, punch down and knead into ball. Roll out onto floured surface. Roll into a large rectangular shape, about 1/2" thick. In a separate bowl, mix raspberries with white sugar and cornstarch. Mix gently until berries are mashed and ingredients are well combined. Keep raspberry mixture very cold until ready to use. If it's cold it will be a lot less messy. Frozen raspberries work great. Spread butter for filling onto rectangular shaped dough. Sprinkle with brown sugar. Then evenly spread raspberry mixture across dough. Roll dough gently into vertical log. Cut dough at approximately every 1 inch to make 12-18 rolls depending on how big each roll is. Place in a pan that is coated with cooking spray and lined with parchment paper. Cover and let rise for 30-40 more minutes until doubled in size. Bake at 350 degrees for 20-25 minutes (depending on size of rolls). Once the tops are a golden brown, they are done. 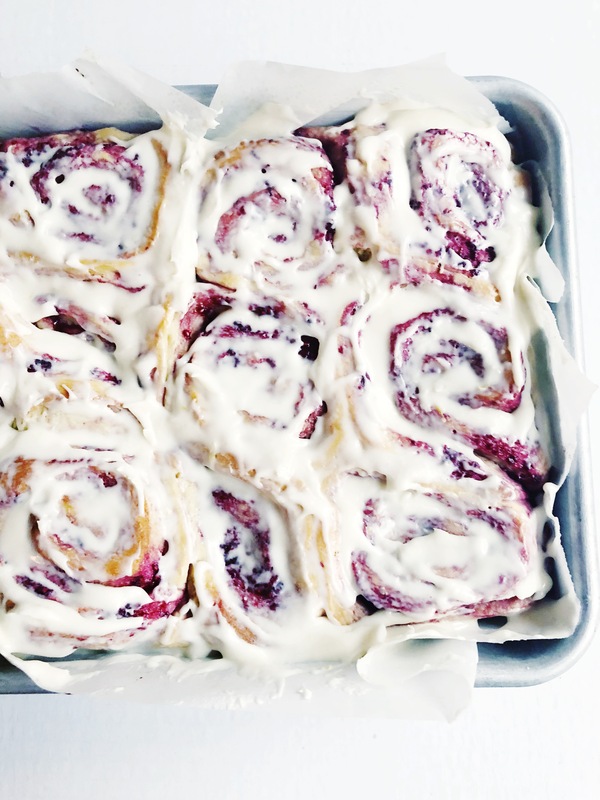 While rolls are baking, prepare cream cheese frosting. In a stand mixer whip butter and cream cheese on high speed, until fully incorporated. Then turn down the speed and add the powdered sugar 1 cup at a time, alternating with milk or cream (1 tbsp at a time). Add vanilla. Continue adding powdered sugar and milk until you get a smooth consistency. Set aside until rolls are done. Remove from oven and frost immediately! It’s kind of messy when you roll them up, but trust me it will be worth it. 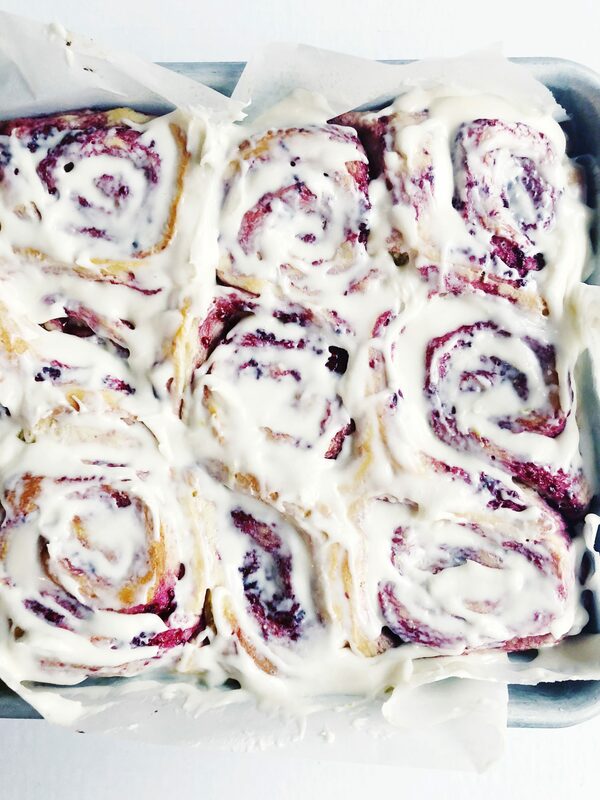 Raspberry Sweet Rolls are heaven. 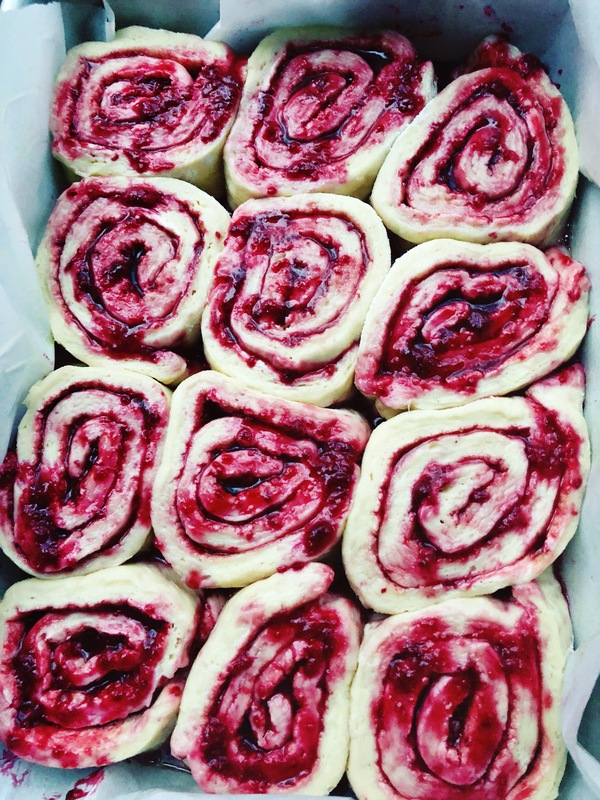 Be sure to let me know if you make these Raspberry Sweet Rolls at @plumstreetcollective on Instagram. Thanks for reading! Thank you ! Yes, try it – it’s so good! Wow! These look delicious! Love the new twist on an old favorite! 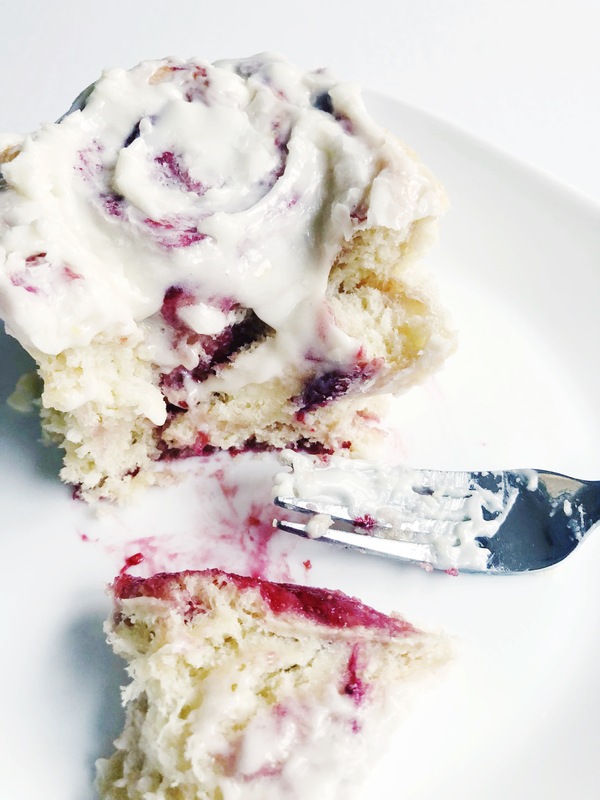 oh my sweet goodness… pinning for later. must try! Thank you! 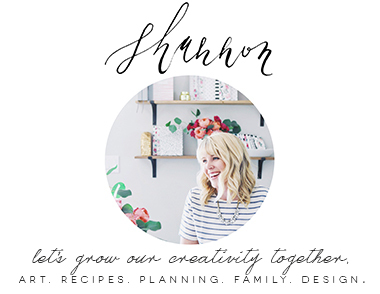 Just checked out your blog and love it – gorgeous photos! Could I start this in a bread maker on the dough setting if I don’t have a stand mixer? I’m not 100% sure because I don’t have a bread maker, but if you can just make the dough in there, yes that’d be fine! Just take it out when it’s incorporated, so it can rise. You can also just mix it all by hand and knead it into a large ball before it rises. Let me know if that works for you! To clarify – you can mix it all by hand in a large bowl. Simply follow the same steps but instead of mixing with a dough hook, just mix with clean hands! I am making these rolls for my family to eat tomorrow. I attended the Pinners conference in MN and during the class you mentioned that the dough could be made the night before. Which steps can be done tonight and where do I pick up tomorrow? Thanks a bunch! SO sorry I’m just seeing this message! 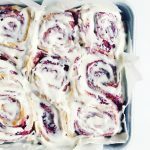 For the future, you can make the rolls up with the raspberry rolled in and everything, then just put them right into the fridge covered with saran wrap and cooking spray. Then take them out to do the second rise for about 2 hours before putting them in the oven. Good luck! I just made these this past weekend! I was very nervous about how it would turn out, well every single person at work that ate them asked for the recipe!!! These are just so delicious and the raspberry is such a nice change from the usual breakfast rolls. This is definitely going on my rotation loved loved loved it! I’m so glad to hear it! 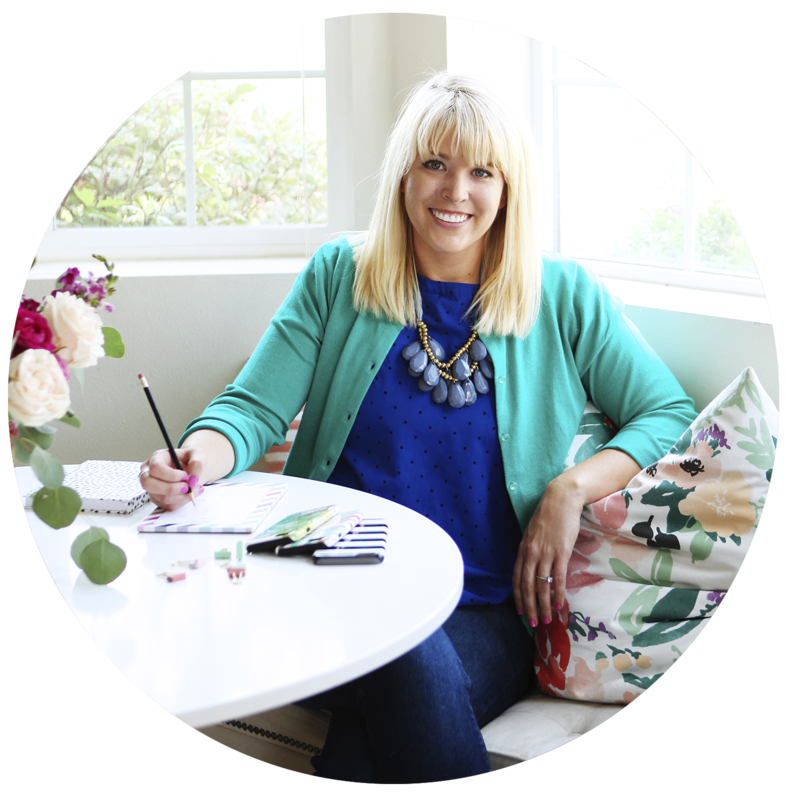 Thanks for letting me know – so glad everyone loved them!